If Nelson wants to surpass Rick Scott, the two largest counties in Tampa Bay didn't help much. In a matter of hours Friday, Hillsborough and Pinellas county election offices finished the manual recounting of votes in the U.S. Senate race. The results didn't change much. Sen. Bill Nelson gained 59 votes in Pinellas and 75 in Hillsborough, adding to his commanding lead in both places. However, heading into Friday, Rick Scott led Nelson by more than 12,500 votes across all 67 counties. So if Nelson wants to surpass Scott, the two largest counties in Tampa Bay didn't help much. 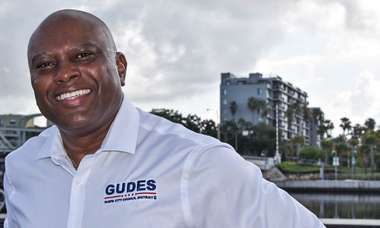 The vast majority of the 3,300 ballots recounted manually in Pinellas County — 95 percent — were determined to be under votes, meaning people left the race for U.S. Senate entirely blank. In the narrow race for Agriculture Commissioner, also in a recount, Democrat Nikki Fried gained 56 votes to Republican Matt Caldwell's 13 in Hillsborough. In Pinellas. Fried gained 36 votes and Caldwell 26. Overall, Fried leads. 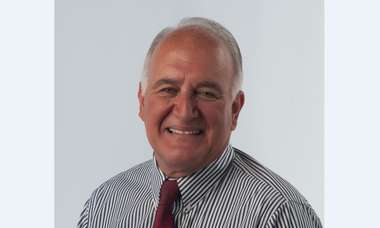 Pinellas' tabulations lacked the drama taking place in South Florida counties. Instead, the process hummed along, a boring but nonetheless fascinating quirk in the democratic process. "One thing I love about this county: we can do something like this in an orderly manner without disruption," said John Carassas, the chairman of the canvassing board, the final arbiter of votes. Election workers determined why a voter put an "X" over Scott or underlined Nelson, or what it meant that someone used red and black ink and that they filled in the "D" in the "Dem" next to Nelson. Lawyers for both candidates hovered over every ballot as it was reviewed. Just a few dozen decisions were challenged. Those went to the canvassing board. "These are tough," the Supervisor of Elections Deborah Clark said after a string of ballots yielded indeterminable outcomes. There was one mix up: the canvassing board signed off on results that miscounted how many over vote ballots were tabulated. They signed an amended sheet later. 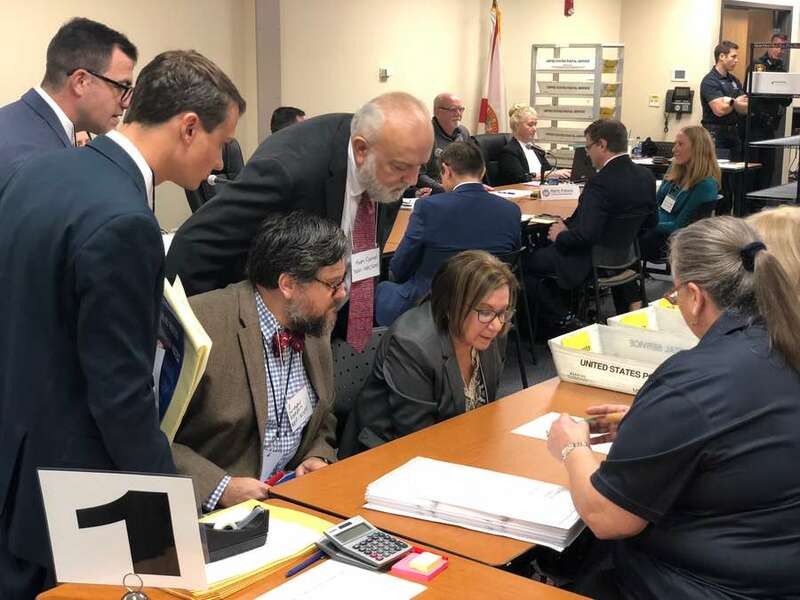 Hillsborough's recount began just a day after a tumultuous machine recount there — marked by two power outrages and a broken machine — resulted in 800 fewer votes than the original tally. 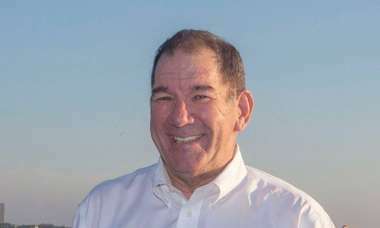 As it was, the county Supervisor of Elections Craig Latimer lacked 100 percent confidence in the outcome and didn't send the results of the machine recount to the state, instead letting the original result stand. Scott also sued Hillsborough to gain access to the room where the machine recount took place. He won. Friday's manual recount went much smoother. About 100 people packed a warehouse room Friday at the supervisor of elections office to sort through about 4,300 ballots in which voters either skipped voting in the U.S. Senate race, voted for both candidates, or made questionable marks so a vote couldn't be easily determined. Twenty counting teams looked at the ballots, with one representative from each party and each candidate. Disputed ballots were sent to a front table, where Latimer and the canvassing board determined voter intent. "The voter has voted for both Rick Scott and Bill Nelson, but crossed out Rick Scott," Latimer said, looking at one ballot. "I'd recommend a vote for Bill Nelson." The manual recount also confirmed Democratic House Minority Leader Janet Cruz will win a Tampa-area Senate seat over incumbent Republican Dana Young. Cruz gained six more votes than Young to seal her victory. Times staff writer Dan Sullivan contributed to this report.